Read my article about the prison mutiny caused by the illegal San Pedro prison tours in March 2009 in La Paz. I really like La Paz, but there are a lot of reasons why this tour is not on my list. Read my article, learn about what life is really like inside the prisons (kids live there too) and decide for yourself: San Pedro Prison Tours. Then click here to see some of my favorite tourist attractions in Bolivia along with some of my personal recommendations for great places to visit in Bolivia. 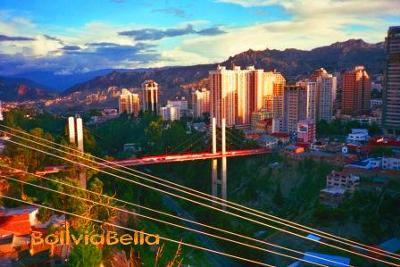 What are your favorite tourist destinations in Bolivia? Enjoy your visit to my site. If you need help finding something just contact me by clicking on the TELL BELLA button on any page of the site.